LOS ANGELES (June 13, 2018) — The Los Angeles Dodgers on Wednesday reinstated right-handed pitcher Kenta Maeda from the 10-day disabled list. Maeda suffered right hip strain on May 29, He missed the last 12 games and made his 11th start of the season Wednesday against the Texas Rangers. In 11 games (10 starts) this year, Maeda has gone 4-4 with a 3.61 ERA (21 ER/52.1 IP) and has held hitters to a .244 average, while striking out 68 batters against 18 walks in 52.1 innings. 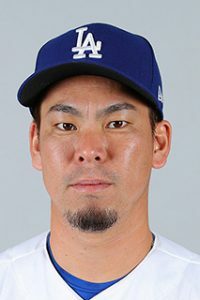 Maeda is a native of Japan and has posted an 11.69 strikeout per nine innings mark, which ranks fifth among Major League starters with 50 or more innings pitched. Right-handed pitcher Daniel Corcino came up from Triple-A Oklahoma City to replace Maeda, and returns to Triple A upone Maeda’s return. Corcino last pitched Tuesday against Texas, allowing two runs (one earned) on two hits over a career-high 3.0 innings of relief and collecting his first career save. In two relief appearances with the Dodgers this season, the Dominican Republic native has allowed just two runs (one earned) over 4.0 innings (2.25 ERA) and has struck out one batter. Visit the Dodgers online , follow them on Twitter and like them on Facebook at www.facebook.com/Dodgers.